THIS WEEKEND: Kent Street Annual Block Party! 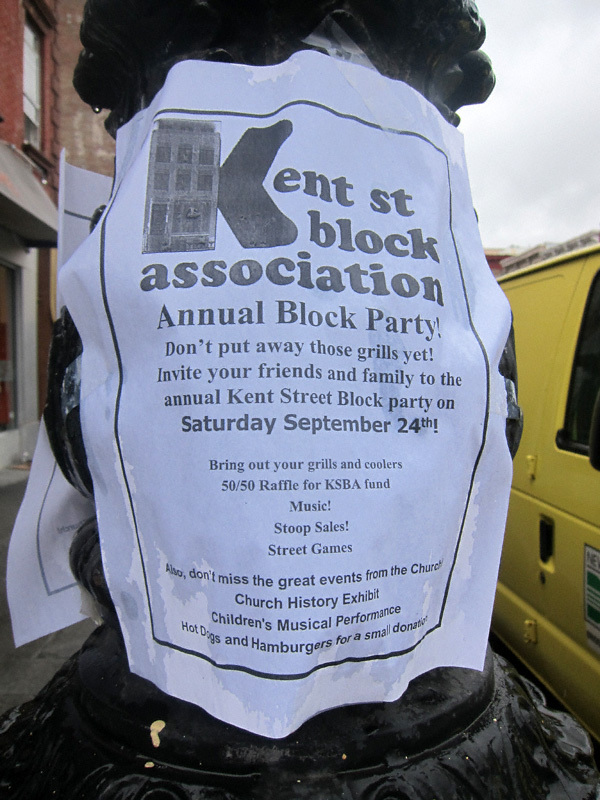 It’s that time of year again; time for the Kent Street Block Association’s Annual Block Party. A church history exhibit, musical performances, stoop sales and a raffle will for the offing. While perhaps not an entire afternoon’s worth of entertainment, this block party is always fun to check out. Go!